In 2006, The Master handed the responsibility of the School to the care of his most advanced student, Master Nicolás Darío Moyano, naming him Superior Master Responsible, along with Master Superior, Fernando Sandri. Under the new leadership, the school has grown and expanded, giving birth to new locations where Pakua is taught. 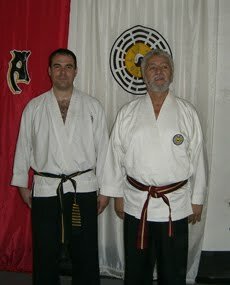 Master Moyano, visits the US often, to continue teaching the local Masters.